Cradlepoint COR IBR900 With Network NetCloud Solution Package. 1 Year of NCM Net Cloud Manager. 24/7 Access to Cradlepoint Support Helpline. Package also available with 3 Year NCM & 5 Year NCM. The Cradlepoint IBR900 NetCloud Solution Packages include NetCloud software, a router, and 24x7 support with Limited Lifetime Warranty on hardware.Upgrade to NetCloud Advanced for additional features such as application traffic analytics, application-aware firewall, and URL content filtering. With an embedded LP6 modem for LTE Advanced with HSPA+ (or LPE modem for EVDO or HSPA+ fallback), Gigabit WiFi, Gigabit Ethernet and a quad-core processor, the IBR900 Series delivers high performance for the most demanding M2M and mobile applications. 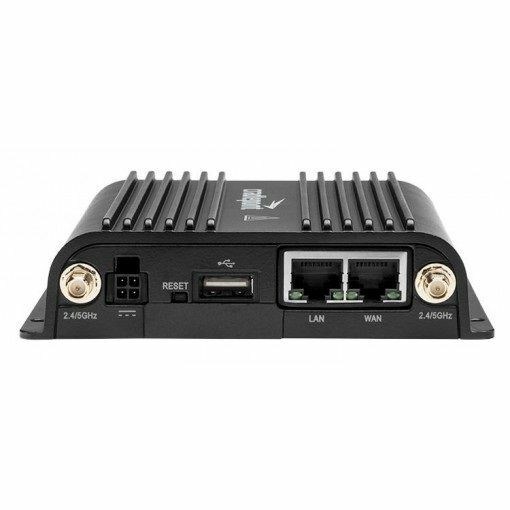 With Cradlepoint NetCloud OS, remote management, and cloud networking, the IBR900 Series delivers enterprise-grade networking functionality in a compact, ruggedised router.